Finally a big thank you to Brother Mahmoud who very kindly went to great lengths to get our copy sent from Damascus to London on a very tight deadline - Jazak Allah 1000 Khair. 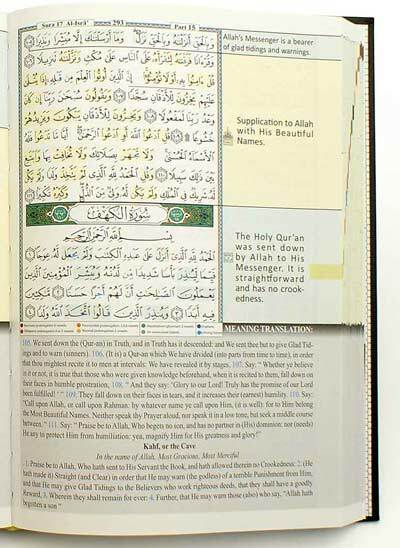 The Tajweed and Memorization Quran comes with Color Coded Tajweed rules and Obvious Script which make reading the Quran much easier. 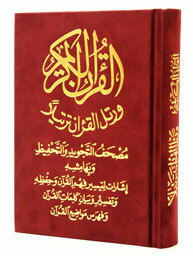 The book is available in two languages: Arabic and English, many forms and includes surah and topic indexes. 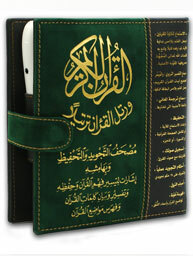 The hard cover of the Arabic and English versions of Memorization Quran are durable and last long. 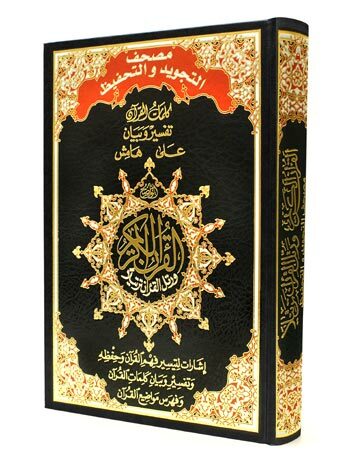 The Velvet Cover of Tajweed and Memorization Quran is such a precious and valuable gift, it comes in size 5"x7". This Quran also available in a new form with Read Pen and Smart Card, size (5"x7") benefiting from the amazing technology that makes Quran reading, learning, understanding and memorizing very easy, no matter what your level of Quran reading is, you will benefit greatly from it. - In the English version, meanings of the verses are added to the lower half of the page, in English language.